21 Days prior to arrival booking can be cancel without charges. No amendment allowed after that.Full Payment required 20 days prior . Having its own car park for all hotel guests, Crescent Hotel is your ideal stop over in Reading. Ideal location in Reading Town Center. For business or pleasure, your home away from home. Seeing Crescent Hotel Hotel was built in 1890 and still holds its preserved Victorian features, we ensure that all of our guests' needs are met and that they are treated like individuals. 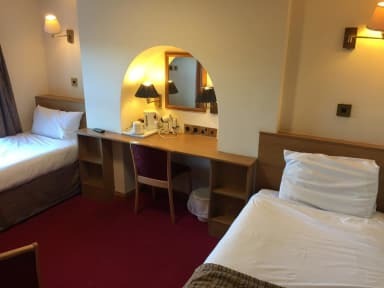 Whether you are on business or just exploring the town or perhaps looking to stay somewhere while attending the shows like Womad, Reading Rock Festival or the Royal Henley Regatta. We are very close to Reading festival location.We are just 15 minutes walk to Town centre which is great for dinning, shopping or night out. Reading University is 15 to 20 minutes walk from hotel. The friendly Crescent Hotel has good-value rooms with free WiFi. Some rooms have a garden view. 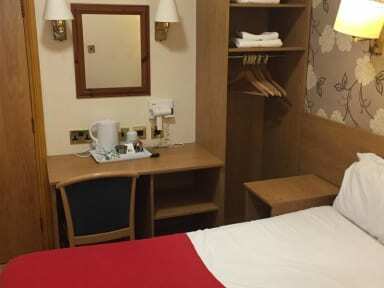 Hotel facilities: Free Internet access - TV in all rooms - Non-smoking rooms - Central location - Garden - Baggage Hold. We do not allowed pets on the premises.